Citing U.S. officials, The Wall Street Journal reported March 17 that the Trump administration plans to continue supporting Kurdish fighters in Syria. The Pentagon is facing a global bill of at least $2 billion to clean up groundwater and drinking wells contaminated by years of seepage from the military’s firefighting foams. The U.S. State Department has cleared Spain to purchase 11 assault amphibious vehicles, built by BAE systems, in a deal that could be worth $107 million. German and U.S. military officials had planned, then canceled, a demonstration this week of the Bundeswehr’s Puma infantry fighting vehicle, as the U.S. Army surveys candidates for its Next-Generation Combat Vehicle program. The F-35 Joint Program Office has not adequately tracked government property leant or leased to Lockheed Martin and its subcontractors, an oversight that a new investigation by the Defense Department’s inspector general said could impact readiness. While deliveries of Boeing-built KC-46 tankers have resumed, the Air Force’s acquisition chief has sent a very clear message to Congress that the service will act if the company doesn’t do more to improve controls on its production line. The U.S. Special Operations Command and the U.S. Air Force Special Operations Command, in collaboration with Dynetics, have conducted a series of tests of the Block 1 variant of the Dynetics GBU-69/B Small Glide Munition – an enhanced variant of the baseline SGM equipped with a Raytheon-developed X-Net two-way datalink. The U.S. Air Force Nuclear Weapons Center has awarded Boeing a $250 million contract to integrate the Long Range Stand-Off cruise missile weapon system with the B-52H large-payload multirole strategic bomber aircraft. The Air Force flew a pair of strategic bombers over the South China Sea on March 13, marking the second time it has sent the nuclear-capable aircraft to the region in just over a week. Acting Defense Secretary Patrick Shanahan failed to keep a public pledge to turn over a $3.6 billion list of military construction projects that would be put on hold to fund the border wall. Alarming data from the Pentagon on the prevalence and prosecution of sexual assaults continue to drive advocates’ efforts to push for an overhaul of the military justice system and to remove commanders from the process of deciding whether to prosecute. The head of Army Materiel Command said recently that he is putting a high priority on munitions readiness to make sure Army units are prepared for the next war. The aircraft carrier Harry S. Truman put back to sea on March 16, exactly three months after the warship returned home from one the most unique deployments in years. The F-22 Raptor stealth fighter has been part of the air campaign against the Islamic State in Iraq and Syria since operations against the group began in 2014. 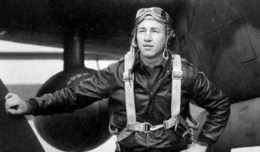 Seventy-five years after enemy forces shot down his glider over Germany during World War II, Pfc. Clifford M. Mills is coming home to Perry County. About 100 Veterans Affairs Department nurses from across the country rallied outside the department’s Washington, D.C., headquarters on Friday to protest the leadership of Secretary Robert Wilkie, the department’s 49,000 vacancies and the Trump administration’s crackdown on their union, National Nurses United.